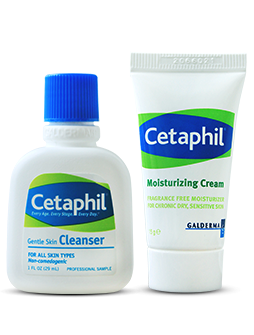 Cetaphil has a long and proven record of providing skincare solutions with strong dermatological and medical heritage. The iconic Cetaphil Gentle Skin Cleanser was founded by a pharmacist in 1947 and was the first skincare product formulated by dermatologists as a stand-alone skin care product gentle enough for all skin types. For over 40 years, our products are developed and tested under rigorous clinical conditions to ensure only the highest quality is delivered to consumers. Cetaphil has received multiple awards along the way, as well as the collective affirmation and approval from beauty insiders and the healthcare community. Cetaphil is the No. 1 dermatological skincare brand in Singapore. Today, about one bottle is sold every minute across the globe and its formula developed in 1947 still holds true to tradition, without change – even to this day.